If you missed Part One of Matt Bowen’s Place in the Fullback Era, click here. If not, read below. Before I get to the first player up for comparison in Part II, I want to say that Kurt Gidley will not be getting a run in this list. I don’t care that he has played more NRL games at Fullback than any other position or that he has been the NSW Captain playing from that position, he is NOT a number one. 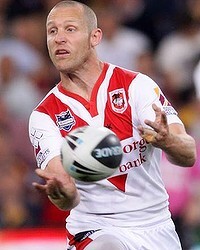 Kurt Gidley is/should be a career utility player. This is not because his skill set is wide ranging and he can cover multiple positions, but because he is an ordinary footballer and should not be starting matches. He is not a shade on Matt Bowen. It’s important that I note this because the next 2 players didn’t even play the majority of their careers at fullback, but they are still good enough to make this list. Kurt Gidley is not. I’ll always remember Ben Hornby as a fullback. Presumably because that’s where he first caught my attention, but the fact is, he played almost TWICE AS MANY GAMES as a halfback as he did in the number one. He started at the same time a Bowen, and finished with 3 NSW jumpers (one starting at fullback, 2 off the bench) and a Kangaroos jumper. Hornby was like a better version of Luke Patten. His game was just as error free, but had seemed to have a bit more of a spark in attack, and certainly creatively. He first found a home at the back during the 2002 season and he did chop and change a bit, but was in essence a fullback until half way through the 2005 season where he was moved the halfback. It was a move that was hard to argue with as the Dragons fell one game short of a Grand Final. He chopped and changed between the 1 and 7 for the 2006 season as the Dragons fell agonisingly short again. He was moved around in 2007 and a few weeks into the 2008 season he found his permanent spot at halfback. The point of all this is that defining Hornby’s career at fullback is quite difficult because he chopped and changed positions. Perhaps it is my skewed view of him as a fullback, but in my mind (at least) he was the team’s custodian from 2002 to 2007. That was a pretty successful time for the Dragons, but in reality, he was the starting halfback for all of the 2005 and 2006 finals matches. On top of that, the real Dragons success was the 2009 season (not including the epic finals choke) and the 2010 Premiership win, both of which had Hornby at halfback. I think it is a more interesting question if you take out the Lockyer rule, but I have to invoke it here and give this one comfortably to Bowen. 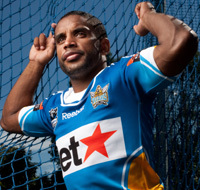 It’s hard to remember Karmike as a successful sportsman due to his dismal move to the Gold Coast Suns in the AFL where he is a run of the mill player on a below average team, but the fact is that he was an absolute superstar of Rugby League. In just 6 short years in the NRL he managed to rack up 10 Origin appearances and 11 Test Matches for Australia. He was the 2004 Dally M Rookie of the Year in 2004, won the competition in 2006 and left the game with a career winning percentage of 63.2%. I was critical of his move at the time, but the truth is, what more did he really have left to achieve in the game? He’d won at all levels and decided it was time to move on. He was good enough, that in this run of QLD Origin teams that is considered the best ever assembled, he was being chosen as the starting fullback and forcing 3 great fullbacks that are still to come on this list out to the wing, into the centres and even on to the bench! He did the same thing at national level, and while I didn’t go into this expecting to say as much, I think he blows Matt Bowen off of the park here. We have our fourth member. Things are starting to look grim for Matty. I’ve been pretty open about my disdain for Billy Slater. I think he’s a dirty player who somehow seems to get a free pass from the media for really grubby play, but I can’t argue with the fact that he is outrageously talented. 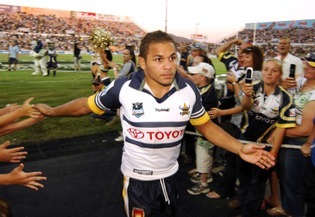 He is the two time Dally M Fullback of the Year (2008, 2011), Golden Boot Award winner (2008), two time RLIF Player of the Year (2008, 2011), Clive Churchill Medallist (2009), Dally M Medallist (2011), 3 time Grand Final winner, with 20 tests and even more Origin caps. This is a first round knockout no matter how you frame it. Bowen is hanging by a thread now. 5 spots gone. This might seem like a first round KO as well, but you have to consider that Hayne has only played 60% of his NRL Career at fullback. Fairly shocking for someone that is so obviously a born custodian (at least at this stage of his career) and on top of that, of his 17 Origin starts, only three of them have been at fullback**. None of his starts for Australia have come at fullback either which does make this seem far more interesting. There is one problem though. Hayne has spent his career getting moved out of the fullback position because he’s good enough to handle it, he’s diverse enough of a player to adapt and he’s just undeniably talented, making him impossible to leave out. Additionally, he’s getting picked for these representative teams because of how well he is playing in the number one jersey. This isn’t merely a comparison of two players’ stats. The comparison is of who is the better fullback and on this one, because of the extenuating circumstances mentioned above, it’s only a points decision, but the truth is, Jarryd Hayne is a better fullback. The perception of Stewart is an interesting one. Before the scandals hit him in 2009 he was undoubtedly going to make the leap into superstardom territory. Coming off the back of an absolute demolition of Melbourne in the 2008 Grand Final, he was going to be the face of the game. But then accusations of sexual assault emerged (which he has been completely and utterly cleared of) everything changed for him. He has avoided all media (understandably) since then and due to some of his behaviour towards the NRL hierarchy, he has gotten the reputation of a petulant brat (rightly or wrongly). On top of this, it all coincided with a run of injuries that saw him miss almost the entire 2009 and 2010 seasons. 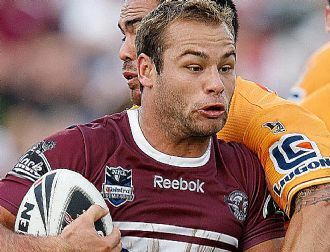 He came back in 2011 in a premiership winning Manly team, and while he was still at his try scoring best, he wasn’t QUITE the dynamic superstar that was set to light up the rugby league world in 2009. Even still, he’s scored 135 tries in 176 games which is a phenomenal strike rate. He’s played 8 Origin matches and one test for the Kangaroos, won 2 competitions with Manly and has a chance to win another this season. This is a really tough call. If the bout is being held at Brookvale, I’d call it for Stewart, but outside of that it’s a split decision. It’s going to hinge on the fact the Stewart really proved himself as a big game performer in the 2011 finals series with 4 tries in their 3 finals matches. Split decision to Stewart. If this was an award for ‘Player Most Determined To Prove Himself To Be An Absolute Prick To The Media’ it’s be called the Boyd Award. But on the field, his talents have let him get away with far more than he should be able to while still maintaining a contract. 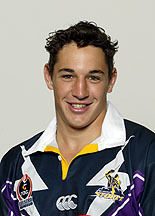 He started as a winger but even as early as his first NRL season he played plenty of games at fullback. He’s proven throughout his career that he is a fullback that can play on the wing rather than the other way around, but he has played 17 origins and every one of them has been as a winger. He’s also played 11 tests for Australia with only 3 of them at Fullback. But he’s in a similar situation to Hayne. He’s getting selected for these teams based on his ability as a fullback. The diamond in his career so far is the 2010 season. He won the Origin Series, won the Clive Churchill Medal along with the Minor and Major Premiership with the Dragons, was named the Dally M Fullback of the tear and was JUST short of being the Player of the year. He was an absolute force on the premiership that season. I don’t think I can say that at any time in Matt Bowen’s career. 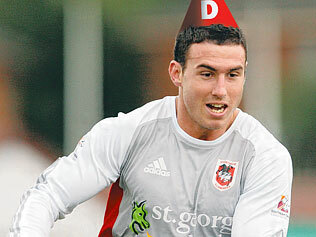 The only real question mark over Boyd is his unwillingness to play club football for anyone not named Wayne Bennett. His rep career does show that he’s capable without his master though, so as much as I don’t really like putting such a seemingly ungrateful player above the model citizen that Matty is, I think that Boyd takes this one. This is a short one. He had an amazing season last year, and if he can find that form again next season he may end up having a career worthy of Bowen. But I doubt it, so at this stage this is a one punch knockout to Bowen. 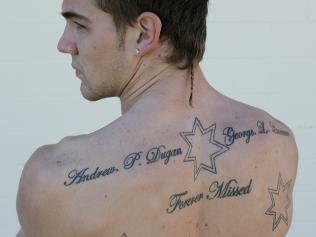 Josh Dugan is undoubtedly a bit of a dickhead. But the kid can play footy. I won’t waste too much time on him, because he isn’t far enough into his career to be considered better than Bowen, but he has the potential to be. With only a handful of seasons under his belt (and about 80 injuries) he has still managed to accumulate several NSW jerseys and if he can continue on his upward trajectory now that he has left the nation’s capital, he can probably expect more. At this stage though, it’s a comfortable points victory to Bowen. Inglis is such a good player that you would have to rate him as one of the best fullbacks AND one of the best centres this millenium. 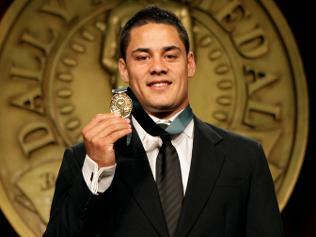 He won a Clive Churchill Medal at five eighth and has played Origin as a winger. He can play anywhere in the backline if needed, but. The last 2 seasons have shown that fullback is probably his most natural position. Given the impact he’s had on South Sydney since moving back to fullback, it’s scary to think of just how good he could have been if he’d played at fullback for his entire career***! He may have only played 53 NRL matches at fullback, but he’s scored 39 tries from there with his winning ratio at a staggering 74%. He has been the dominant premiership force this season, with only his injury stopping the Rabbitohs from a likely minor premiership. Even with his limited time playing at fullback, I don’t think Matty himself would argue against this one. Inglis defeats Bowen. So while he doesn’t quite meet the initial claim, Matt Bowen scrapes into my top 10 fullbacks of this era. It’s certainly nothing to be ashamed of given the quality of players he is up against, and it really is a shame that he will likely get lost in the also-rans when people look back on this time. If he was born in a different decade, perhaps his legacy would have been different, but he’s certainly not the first great player to suffer that fate. Just ask Phil Blake or Greg Alexander. 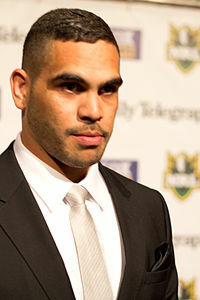 Farewell Matty Bowen, if Souths falter, I really hope you get that elusive Premiership that you deserve. **Nobody alert the selectors that they are playing our best player out of position, we may actually win something if they catch on. ***Though the flip side of that is that his time playing other positions probably gave him the insight to excel as a fullback.